And the 'tough' language that got us here. Australia's controversial refugee deal with the United States has been thrown into disarray following a single tense phone call between Donald Trump and Malcolm Turnbull. For the past 17 years Australia has intensely debated how it manages refugees and asylum seekers trying to get to Australia, with a particular emphasis on so-called 'boat people' -- people trying to arrive over the sea. Tough political rhetoric and failed proposals to manage about 2000 asylum seekers held in Australian centres recently led to a deal with the United States to offload a large part of the group. But following a heated phone call between Trump and Turnbull, that deal may be off, and pundits are still trying to determine if Australia's long term and unwavering alliance with the U.S. may need to change course. 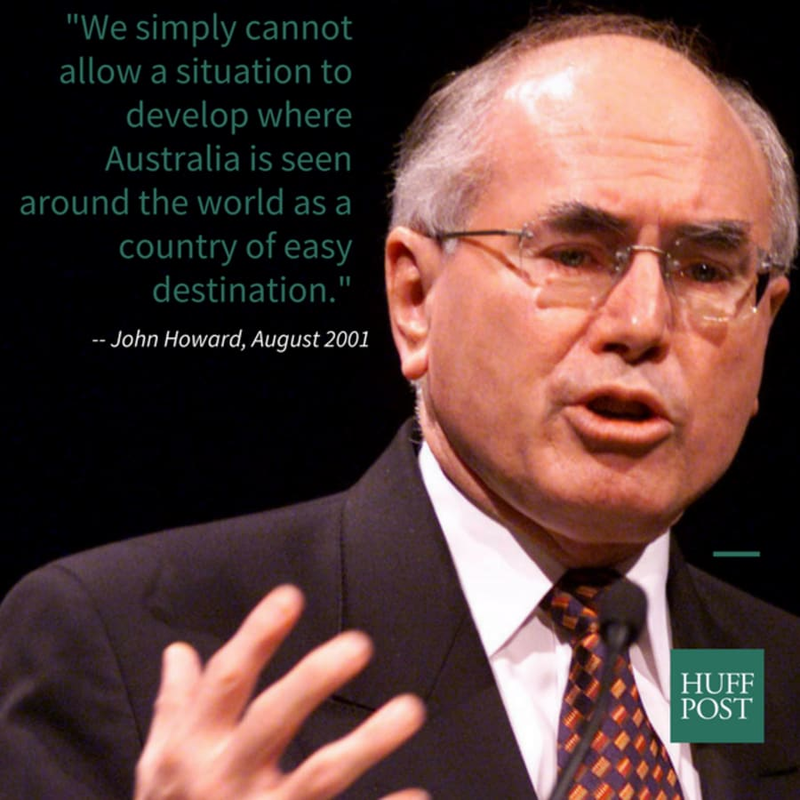 Here are some of the events and statements that led Australia into a quagmire of immigration policy. In August 2001, the 'Tampa' affair set the scene for 17 years of intense immigration debate in Australia. 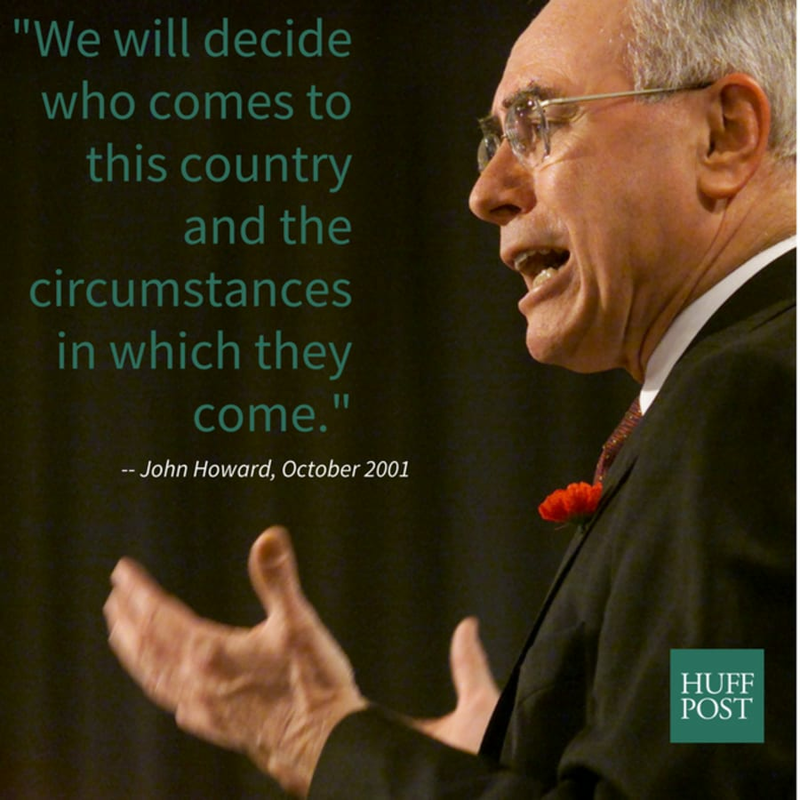 A new Labor government largely dismantled the Howard-era immigration scheme. 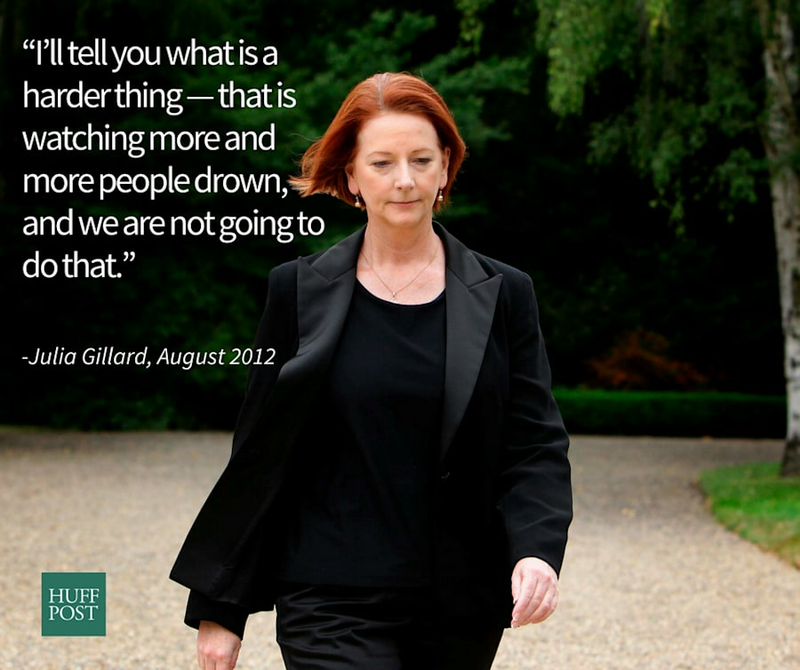 By July 2011, the Labor Government of Julia Gillard signed a deal with the Malaysian -- dubbed the 'Malaysian Solution' -- a proposal where by Australia would swap 800 asylum seekers held in detention centres for 4000 refugees waiting in Malaysia for resettlement. 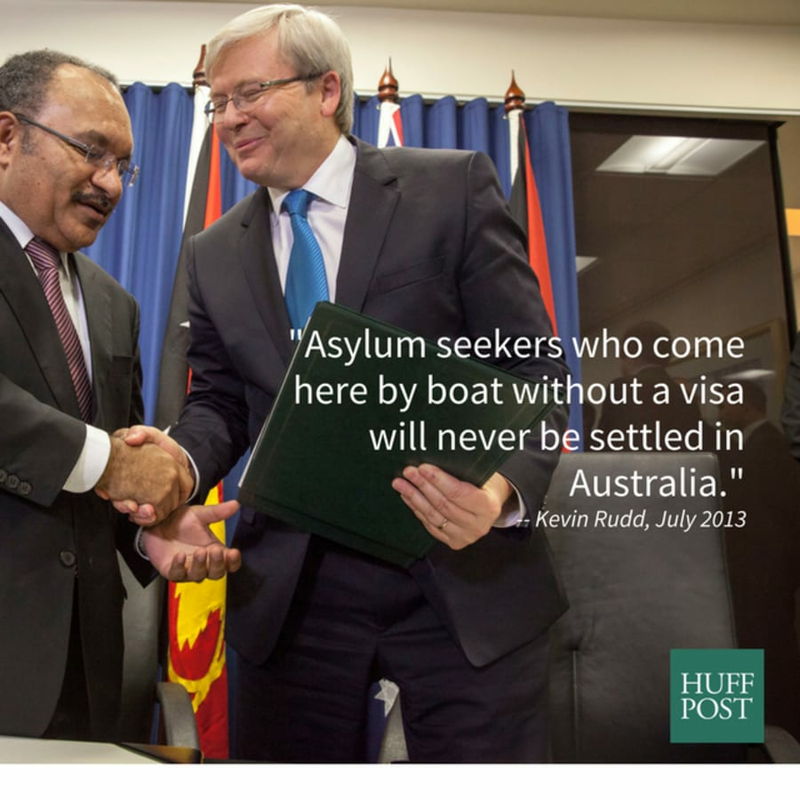 By November that year the high court ruled the proposal to send unwanted asylum seekers to Malaysia was illegal. Prime Minister Kevin Rudd, pictured above shortly after reclaiming the office of Prime Minister from colleague Julia Gillard, Rudd announces tougher measures during a joint press conference with Prime Minister Peter O'Neill in Papua New Guinea. Between 2008 and July 2013 close to 900 asylum seekers reportedly died -- 15 committed suicide or died of natural causes in detention centres, while about 860 died trying to get to the Australian mainland. Tony Abbott, in 2013, appointed three star General Angus Campbell to head Operation Sovereign Borders By January 2014, less than six months into Operation Sovereign borders, the government is faced criticism over its 'secretive' methods. 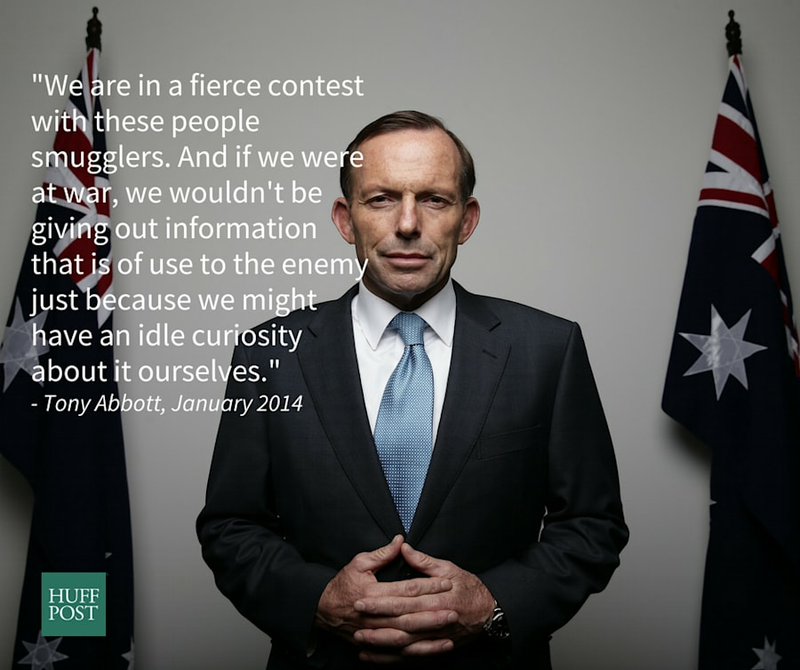 By September 2014 the Abbott Government signed another controversial refugee swap deal with Cambodia. Ultimately it is not successful and costs the taxpayer $55 million while three of the five refugees who arrived in Cambodia under the deal returned to their countries of origin. In August of 2016, the Supreme Court of Papua New Guinea rules the Manus Island detention centre is breaches a constitutional right to liberty. 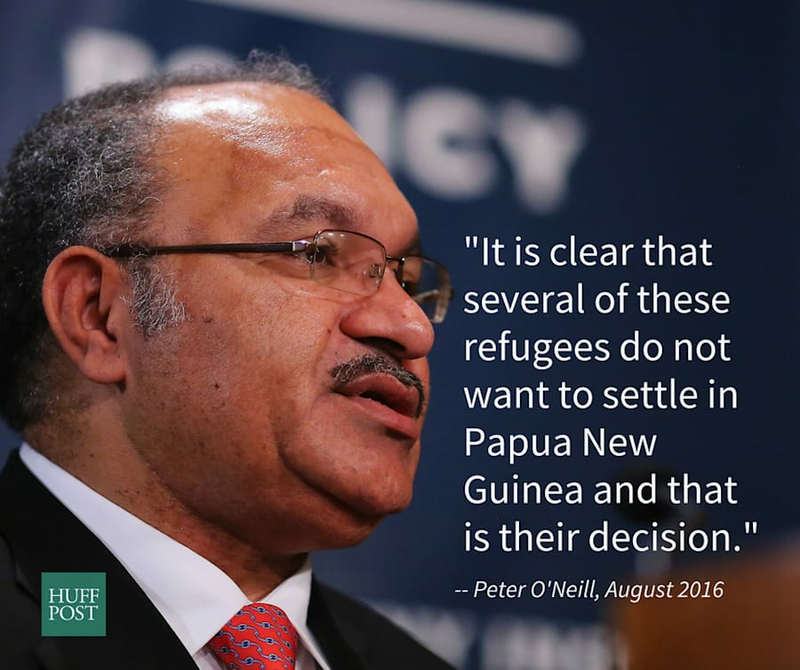 PNG Prime Minister Peter O'Neill says the Manus Island regional processing centre will be closed. The Federal government says it will not interfere with its agreement with Papua New Guinea, and removes the "detention" component of the facility. Asylum seekers who cannot work on the Island are "free to come and go". 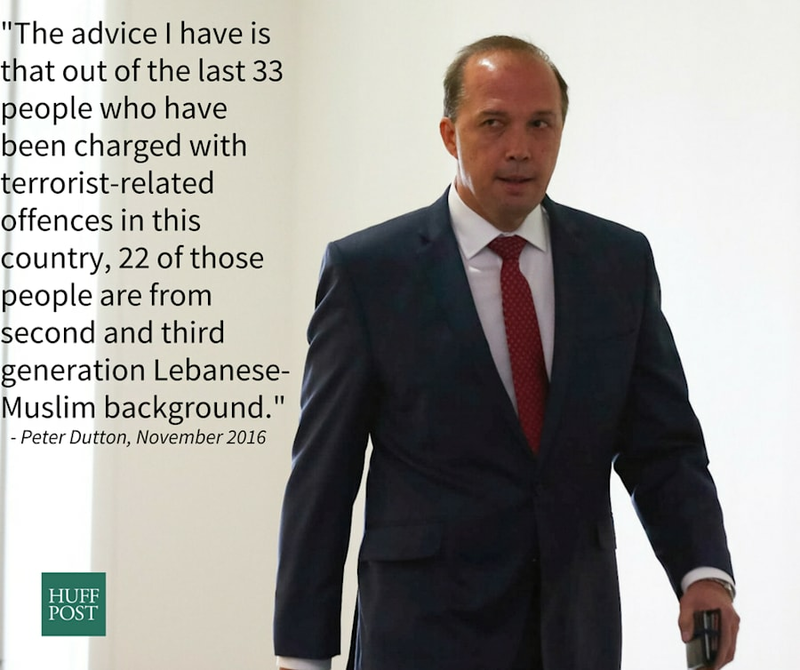 Immigration Minister Peter Dutton -- who had his title changed to Minister of Immigration and Border Protection following the 2013 election that saw the coalition come to power -- sparked controversy in November 2016 by targeting Lebanese Muslims during parliamentary question time. 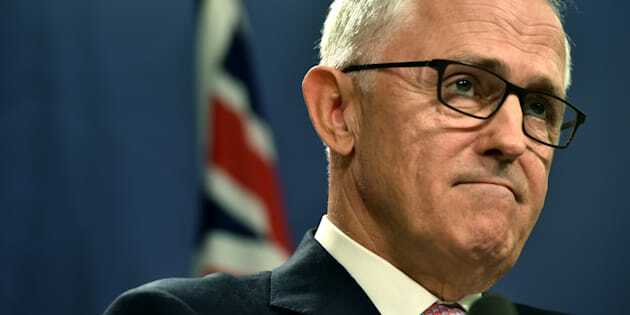 That same month, he and Turnbull announced a one off deal with the outgoing administration of Barack Obama for the U.S. to take 1250 refugees living on Nauru and Manus Island. 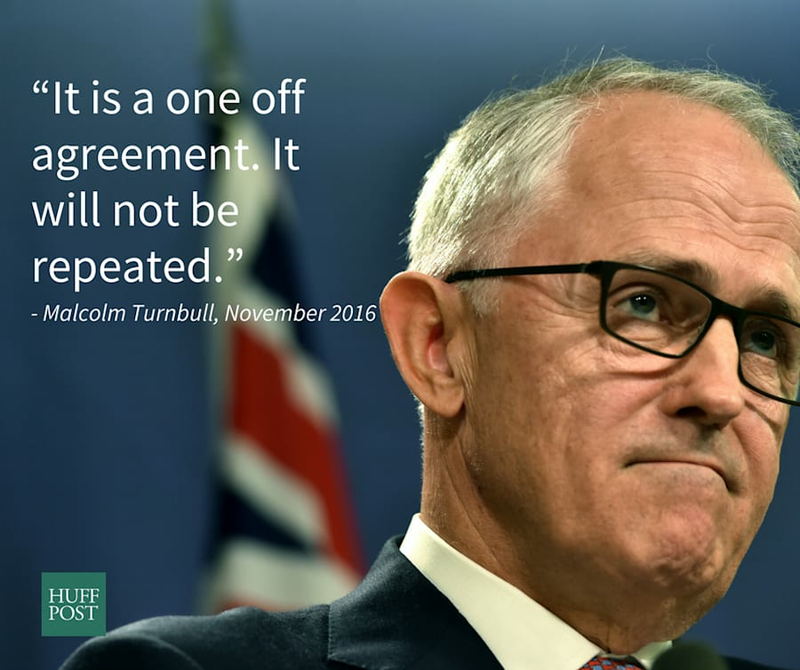 Two weeks into his first term, U.S. President Donald Trump and Turnbull had a row over the deal while on the phone. 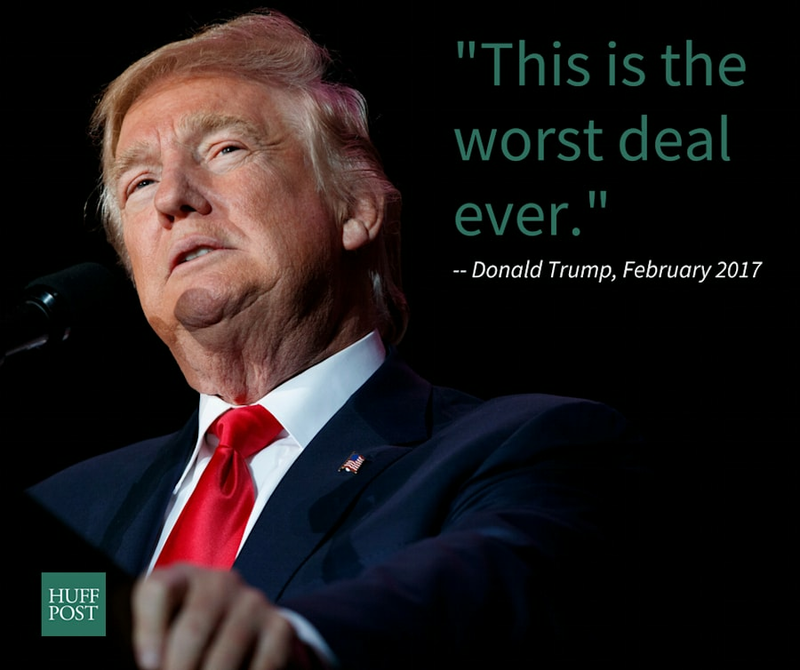 Turnbull said Trump will honour the deal, but Trump tweeted that while he'll study it, he thinks it's "dumb". As with all things involving President Trump, the future remains uncertain.